France has imposed new requirements on companies seconding workers to France. What does the change mean? Beginning June 15, France began requiring additional information from companies submitting a secondment declaration (déclaration de détachement) when seconding an employee to France. Currently, the declarations can be submitted online or via email, fax or post to the appropriate French labor inspectorate office. Beginning Oct. 1, however, all secondment declarations must be submitted online through a government website. Who is affected: Foreign companies, including EEA-based companies, seconding employees to France. Business impact: Affected businesses should become familiar with the new procedures. Employers that fail to submit secondment declarations properly may be hit with fines of up to €2,000 per employee or €4,000 for a repeat violation. Fines are capped at €500,000 per company. Next steps: Beginning Oct 1, companies must send secondment declarations online rather than by email, fax or post. Before they are able to submit declarations online, companies must register and submit company information on the SIPSI website. Background: Secondment declarations are required for all employees working in France on a foreign company’s payroll regardless of the employee’s nationality. Declarations are required for all types of secondment assignments in France, including when employees are seconded through a non-French temporary work agency. The French government switched to a new secondment form June 15, requiring companies to provide additional information such as the details about the company’s representative in France, information about the director of the company, the name of the collection agency for social security contributions, the nature of the services performed, and the cost of travel, meals, and lodging. Online filing has been available since June 15, but will become mandatory Oct. 1. Declarations sent by email, fax or post will no longer be accepted. BAL Analysis: Affected employers should make sure they follow France’s new requirements on posted workers. Those who fail to submit the proper secondment declarations risk being hit with steep fines, as outlined above. Contact BAL with any questions about the changes or steps required to stay in compliance. This alert has been provided by the BAL Global Practice group and our network provider located in France. For additional information, please contact your BAL attorney. All rights reserved. Reprinting or digital redistribution to the public is permitted only with the express written permission of Berry Appleman & Leiden LLP. For inquiries please contact copyright@balglobal.com. 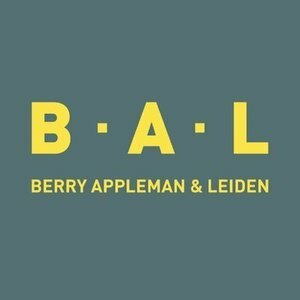 Founded in 1980, Berry Appleman & Leiden (BAL) provides comprehensive global immigration services from seven offices across the U.S. and from offices in Geneva, London, Melbourne, Rio de Janeiro, São Paulo, Shanghai, Singapore and Sydney. BAL manages global visa matters and customized application approaches for work permits, business visas, and residence permits in more than 100 countries. With a single cost center for worldwide operations, BAL offers centralized management with regional and local support for the complete spectrum of global immigration matters.